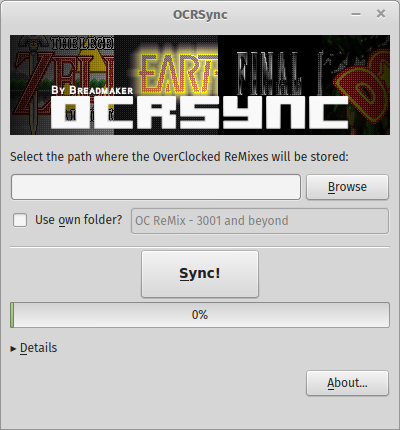 Simple and reliable tool written in python, made to easily keep you in sync with the musical repository of ocremix.org. *Results may vary, depending on the system in which it is run. Workaround when the MD5 string doesn't match, #14. App layout rebuilt from scratch. Now syncs from song 3001. Extended support for RSS errors. Pyinstaller is now fetched from dev.